Looking for a simple yet beautiful Mother’s Day craft idea for kids and adults? 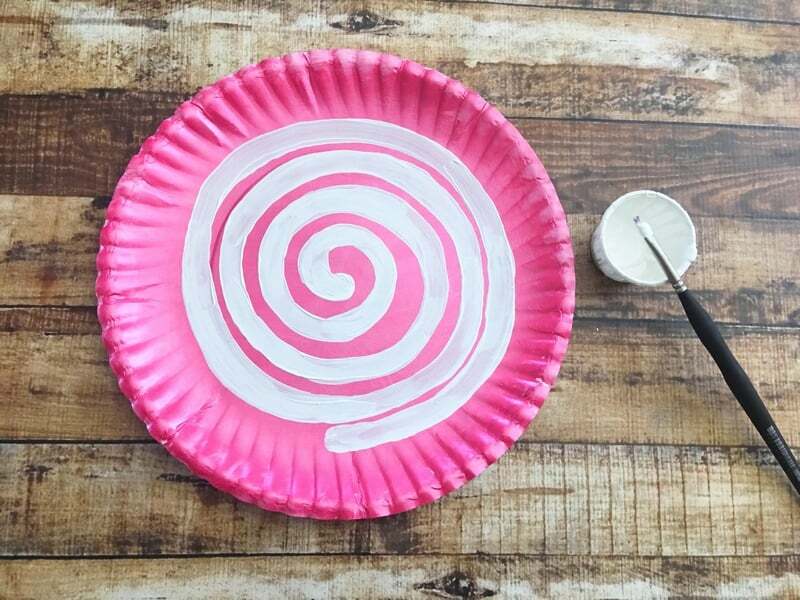 This pink lollipop paper plate craft is lovely and super versatile! Use it to brighten up a potted plant, write a sweet Mother’s Day quote on the back and use it as a card, or just give it as is! I love receiving handmade Mother’s Day gifts; I treasure them forever. While this craft is easy enough for older children to do on their own, little ones will need more supervision and help. 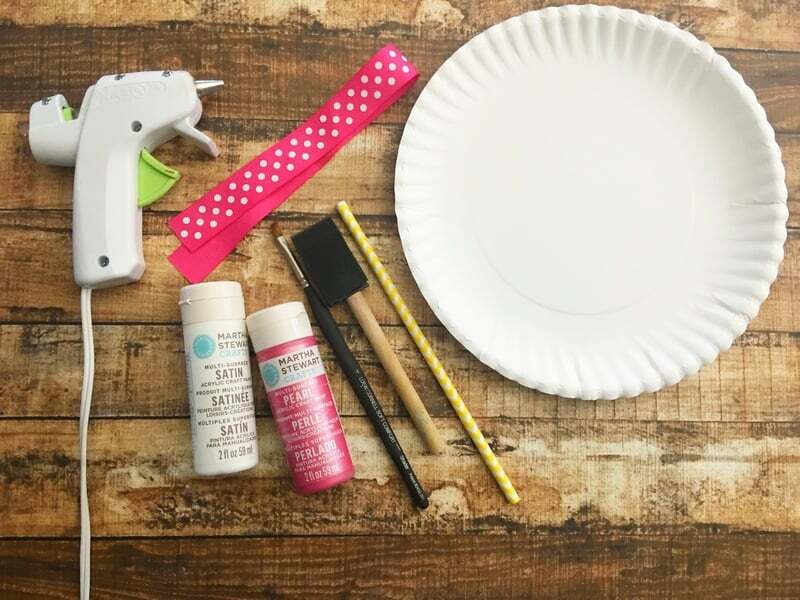 Let’s check out how to make this adorable Mother’s Day craft! 5. (Optional step/not for small children/supervise step) if you’d like you can glue the front of a clear plastic bag to the front of your lollipop to help preserve it longer. That’s it! Pretty easy Mother’s Day craft idea, right? You could even make a bouquet of lollipops by repeating the steps above using different paint colors. Here’s a fun spin on that idea: if your recipient mom has several children, make lollipops in the colors of their birthstone or birth month (example, emerald green for May, ruby red for July) for your bouquet and add a recent photo to the back of the lollipop. Looking for more cute Mother’s Day craft ideas? Check out these fun crafts for kids to make for mom or this DIY painted glass bottle craft. 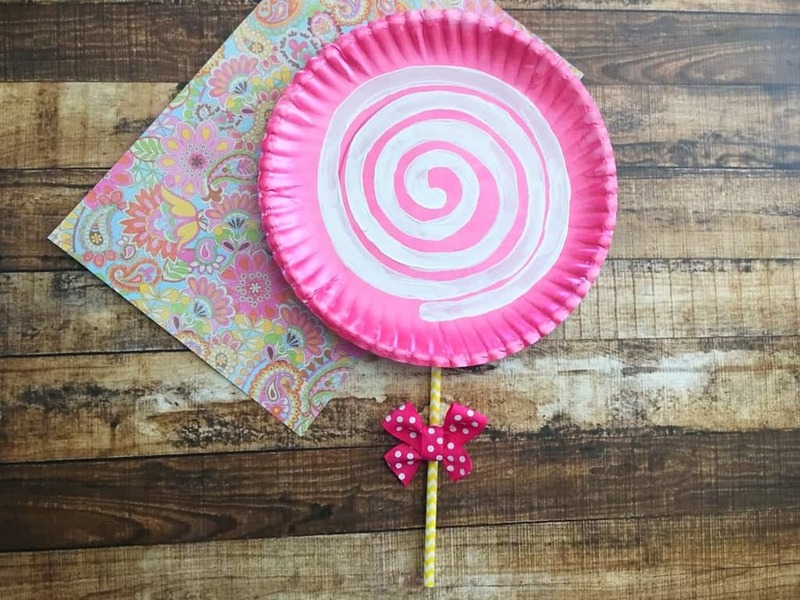 The bottle craft goes along perfect with this pink lollipop craft. 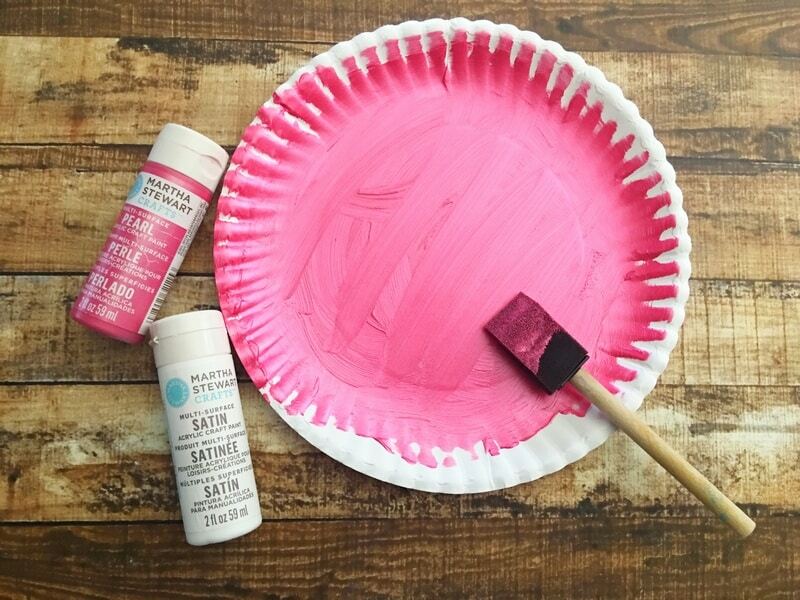 Can you think of any other fun ways to use this Mother’s Day craft? Would you make a pink lollipop or go with another color? Tell us your thoughts in the comments! This is so cute! I feel like it would make a great photo prop for fun pictures too! What a simple and cute way to decorate a Mother’s Day gift. Thanks for sharing on Merry Monday. These are super cute and would be a great craft to do at a birthday party too. 🙂 I know my girls would love making these and sticking them around the house! Wow what a simple, cute, inexpensive craft idea. Making one seems like a ton of fun. These are very cute. When I see them, it makes me want to sing “The Lollipop Guild” from the Wizard of Oz for some reason! What a wonderfully cute and adorable idea for children to celerate Mother’s Day – and SO creative too! This is such a simple and cute idea. I bet my 5 year old daughter would have fun making this.